Is there a monster in your closet? I am not talking about the the sharp-teethed, woolly, giant “eat you in your sleep” kind. This monster is much much worse…. Don’t sweat it, there is still time to tame the beast before those in-laws make their trip to spy-on, i mean, visit you. Donate those old clothes and shoes you will literally never wear again. And yes even the ones collecting dust, possibly with the tags still on, because you may “have an opportunity some day to wear it”. Here’s a little chart to help you in your tough decisions to come. If you’re attached to your clothes you may want to take it a step further and frame this. 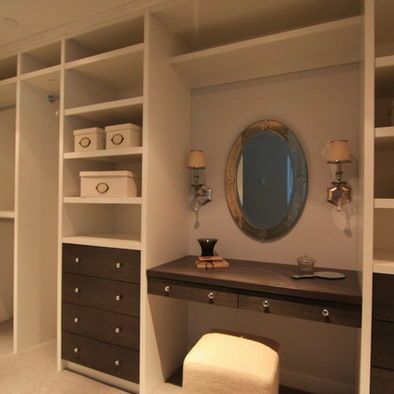 It is always a good idea to incorporate a shelving system with some sort of drawers or cubes. 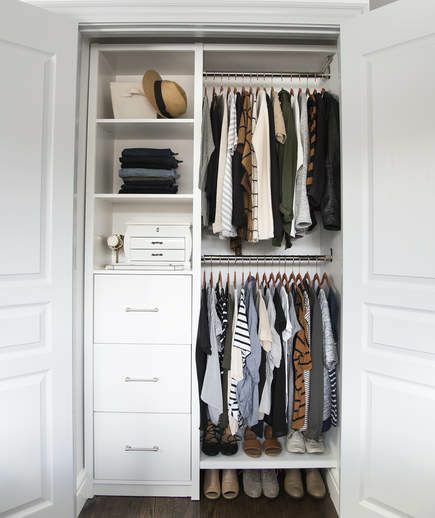 This creates a space for those “odds and ends” items without all the clutter. 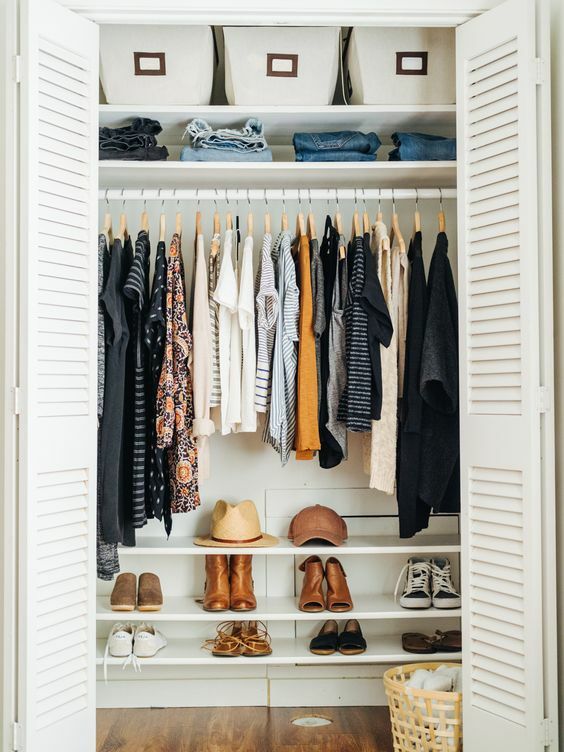 If you have a larger closet you may be looking for a unique way to remodel your space, and possibly remove some of that clutter from your bathroom. 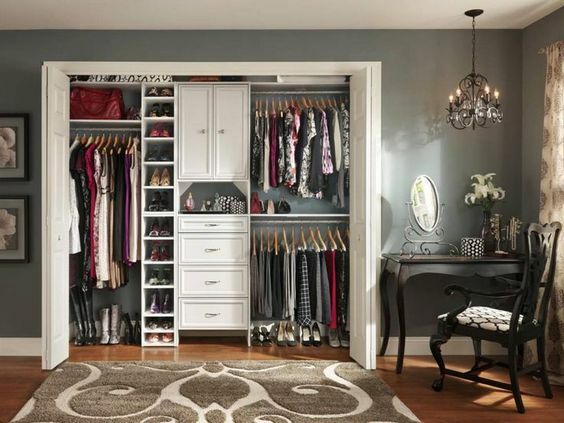 Incorporating a visible space for purses, scarves, and shoes makes it easy to put an outfit together in the morning. 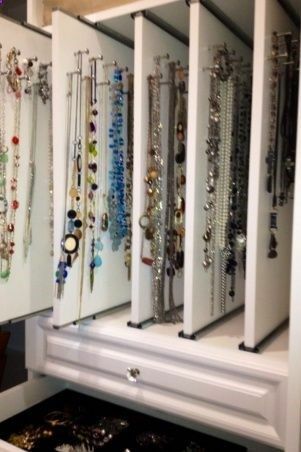 Creating a slide out board makes a perfect place to store necklaces and bracelets. If you have the extra space creating a vanity allows you free up bathroom space (and time) by giving you a dedicated place to get ready in the morning. 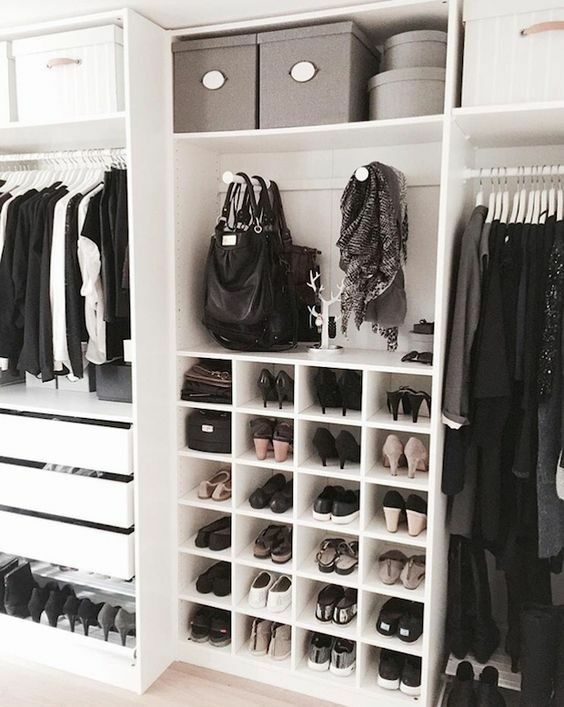 If you have a need for more shoe space than hanging space you will need to incorporate more shoe storage, or vice versa. 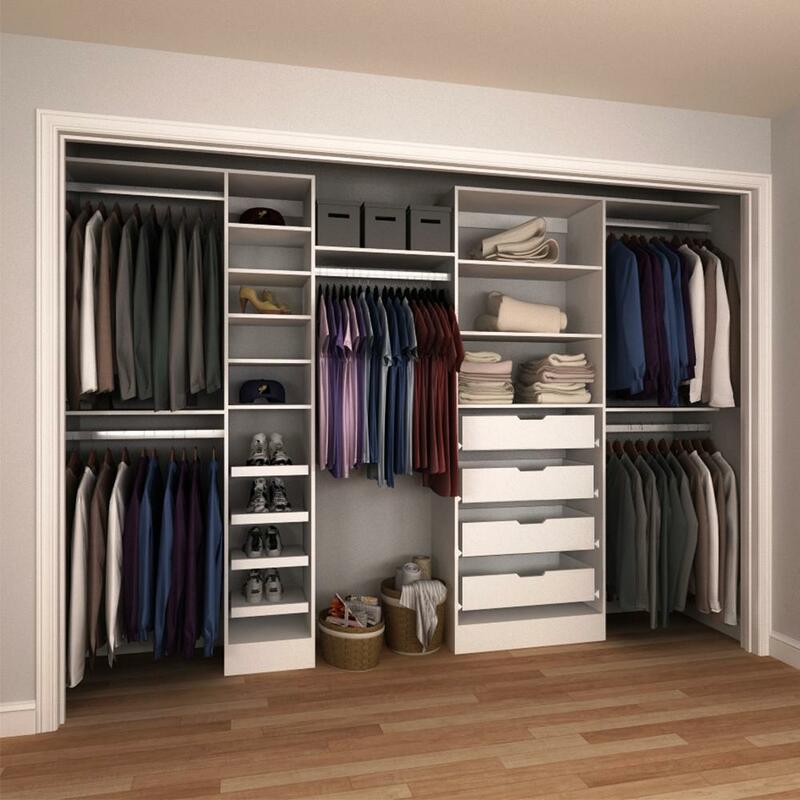 Since you are designing the closet for your personal needs do not be afraid to put your own spin on anything you decide to do. And when in doubt.. Pinterest it out! 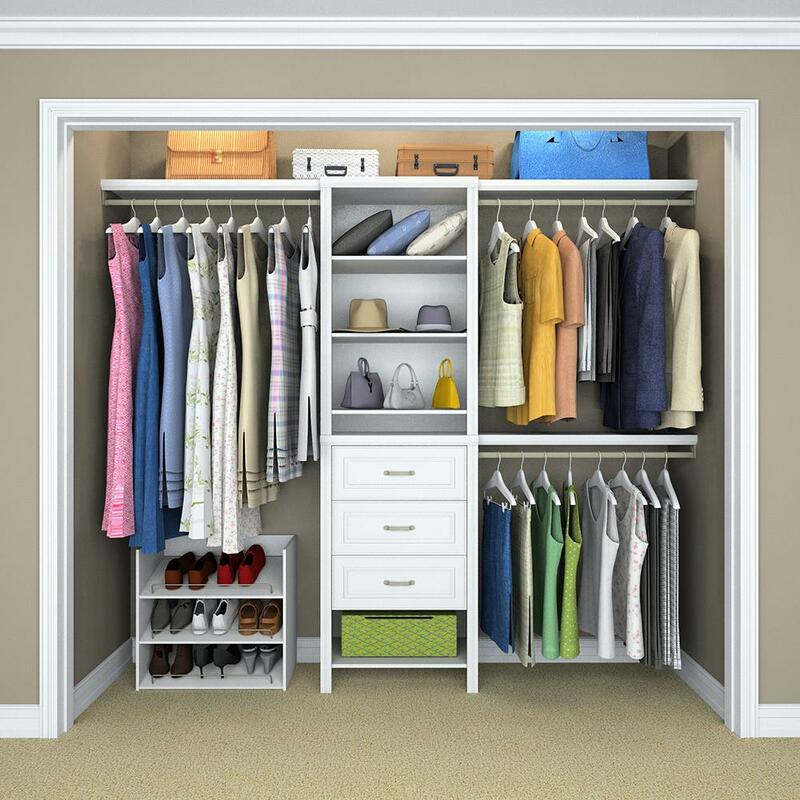 Closets are a huge factor in resale value! Even if you are not planning on selling now, or even 5 years from now, it is always a good idea to be improving the value of your home. Comes in 2 Colors! Customizable! *we do not receive compensation from these retailers. These links are provided for your convenience only.